K...let me know what kind he is. And don't worry, my son's hands are not that dirty anymore! Cool. I'm glad to know what he is now. He's so awesome. 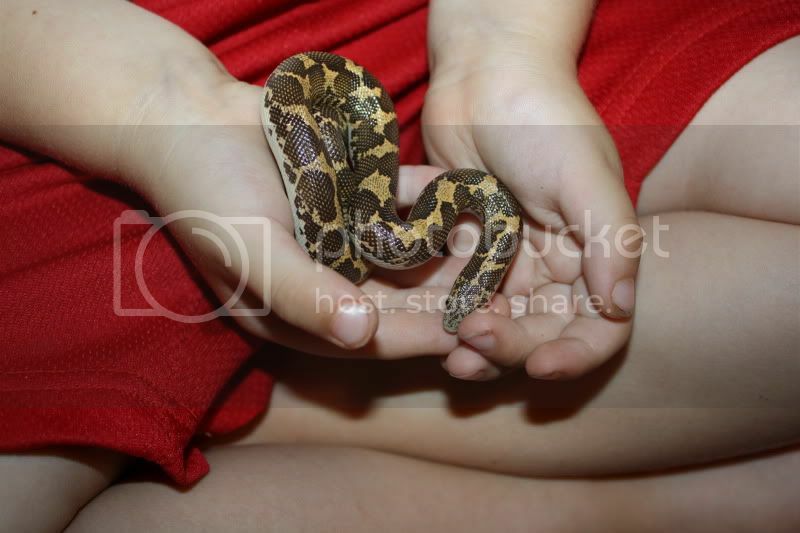 I seriously LOVE this snake. I am VERY attached to him, and Kai loves him to pieces. I'll try getting a more recent pic of him. He's nice and fat now that he just ate. Sand Dunes National Park pics! !